Silver Mexican Libertads have incredibly low mintages for bullion pieces and their newer design is second to none. Get them while you can! 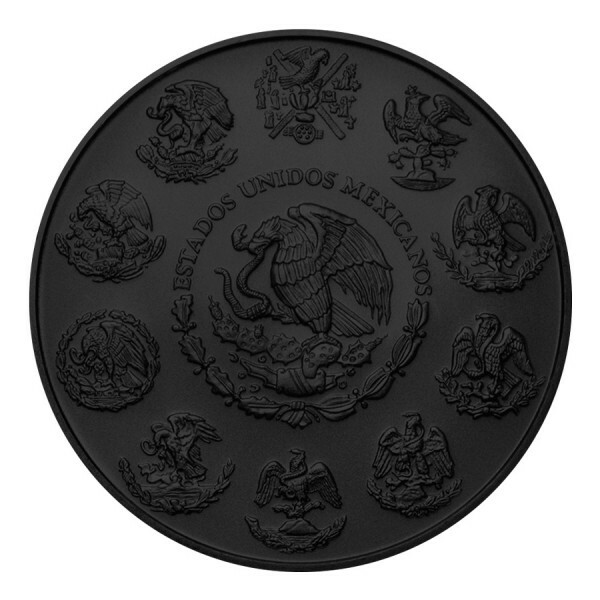 The Mexican Silver Libertads are Mexico's Silver Bullion pieces and are rapidly gaining popularity in the United States and around the world which makes them more and more difficult to come by. 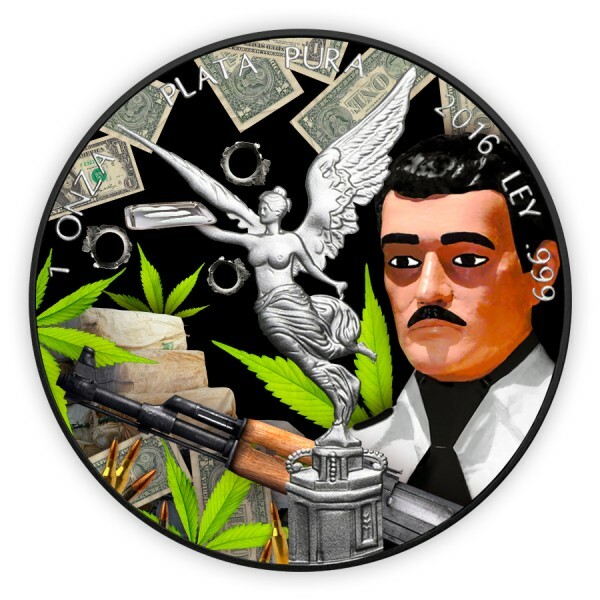 This beautiful 1 Oz Silver piece is dedicated to Jesús Malverde, known as the generous bandit and the angel of the poor, he is idolized as a saint by some people. 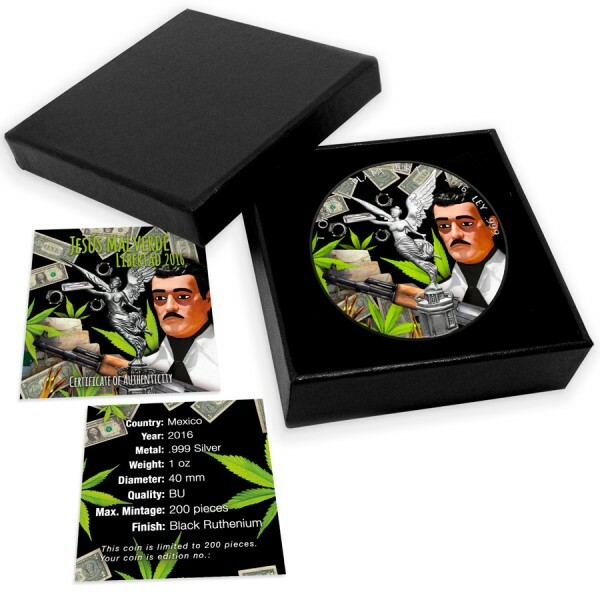 These magnificent brilliant uncirculated .999 fine 1 oz Silver pieces are very popular with collectors and investors. This rare and unique piece comes encased in a clear acrylic protective capsule.